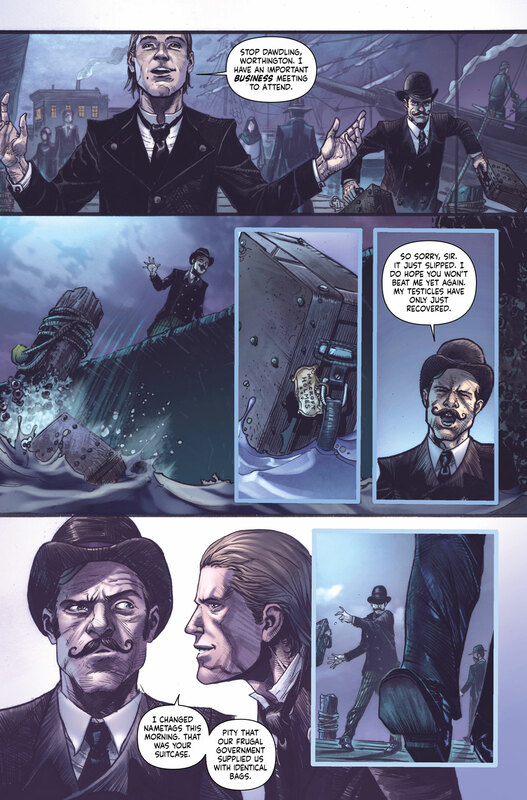 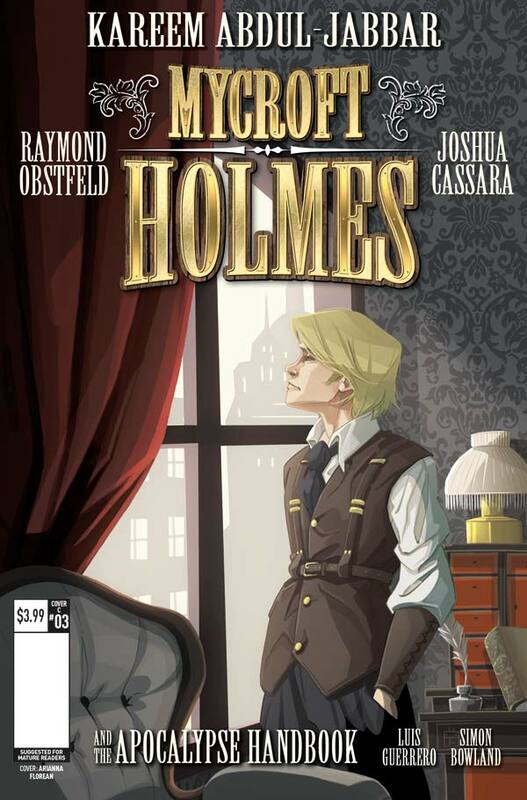 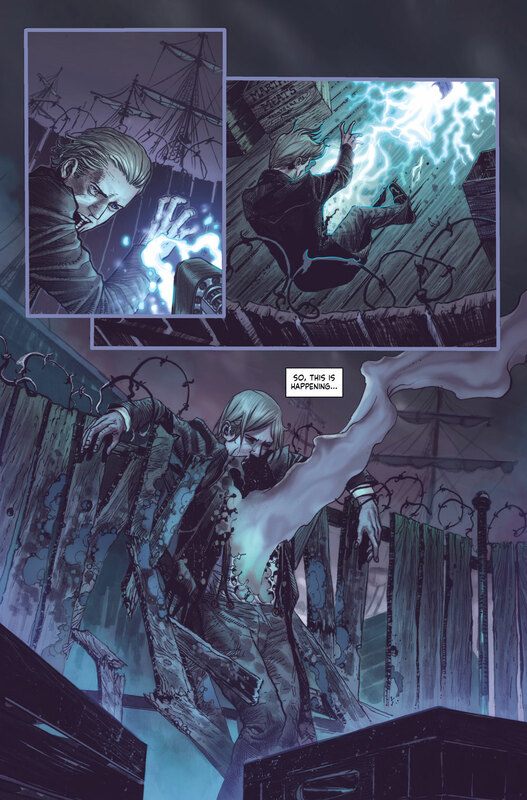 The Fellowship has obtained a first look at MYCROFT HOLMES #3 from Titan Comics. 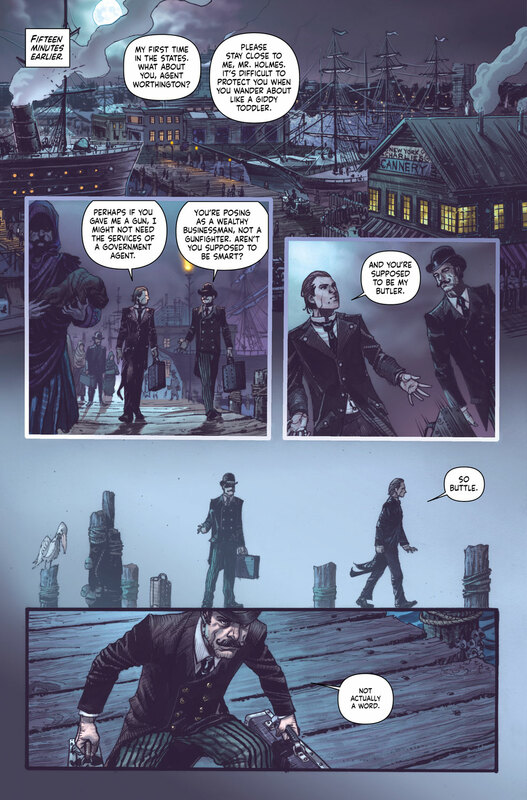 The issue, which hits stores October 26th, is written by Kareem Abdul Jabbar & Raymond Obstfeld with art by Joshua Cassara. 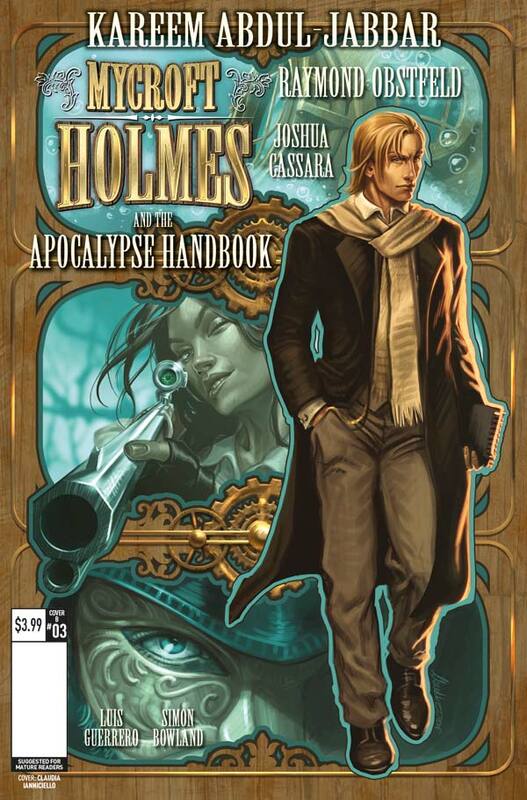 The covers are by Alex Ronald, Claudia Caranfa and Arianna Florean. 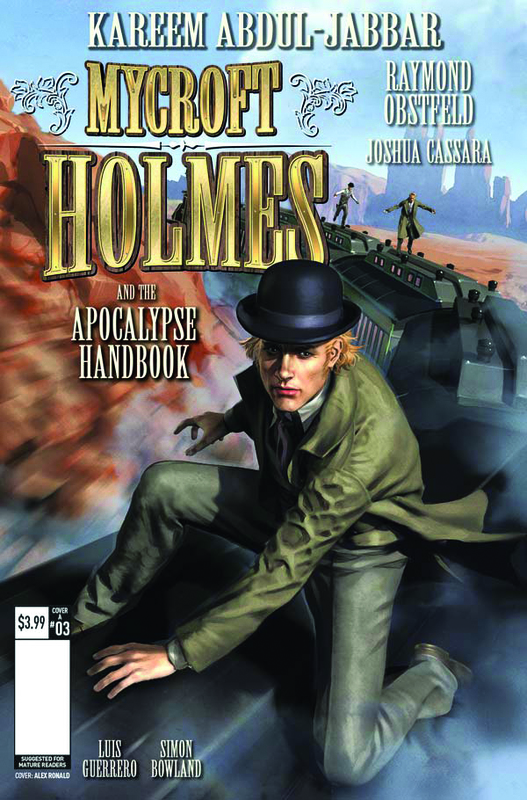 Mycroft hits the USA in search of the Apocalypse Handbook - but an encounter at the New York docks leaves him battered and bruised at the hands of impossible superweapons - and that's even before he follows the trail out West, where an unexpected face boards his train, with robbery on his mind!